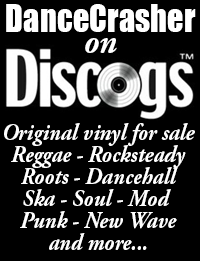 Though reggae music is absolutely not about who has the most money to pay for tunes I thought it would be interesting to look strictly at some of the heighest selling prices in the last week. Wayne Marshall And The Offbeat Posse – Give Me The Mix / Mike In My Hand The list starts with an ultra rare digi 12″ from the Jah Tubby’s label. This sold for Â£131 ($204) last week. If anything this copy, graded as EX-, went a little cheaply as this tune has made Â£30 more a couple of times recently. This is one of the most indemand of Jah Tubbys twelves. Walyn Rickets – Jah Is My Light/Version. This heavy duty piece of roots made Â£158 ($247) last week. This is an obscure tune that rarely come up for sale. Glen Richards as Jah Glenn – Dread In A Babylon More tough roots, this time a Glen Brown vocal over his classic Dirty Harry rhythm. This went for Â£165 ($258) and was only described as VG. 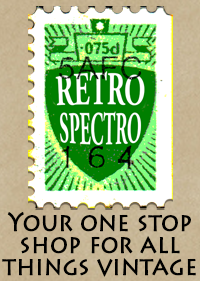 One of the rarer Glen Brown productions. Prince Buster – It’s Burkes Law LP The first and only LP in the list this original UK Blue Beat LP went for Â£165 last week. The price of this LP has been pretty stable for several years now, there isn’t the excitement there used to be for Blue Beat LPs in general but they are still rare enough to get a decent price. Incidentally it looks like the auction wrecker Carlos “won” this particular auction but given as there were two bids for Â£160 there was no real harm done. The Versatiles – Lu Lu Bell/Long Long Time A Joe Gibbs production on the UK Amalgamated label, featuring a young Junior Byles. This went for Â£180 ($281) last week which is a fairly average ebay price for this indemand double sider. Dakota Jim – Only Soul Can Tell/Dakota’s All Stars – Call Me Master Dakota Jim is actually Slim Smith and this is a great slice of late ska from 1966. Demand for this tune has been slowly rising over the last few years and it wasn’t that surprising to see this make a heafty Â£196.51 ($307). Henry III – I’ll Reach the End/Won’t go Away It looks like Carlos hit this auction too but the first legitimate bid of Â£208.99 and the second of Â£182 were both surprisingly high. The A side is a Merritone cut and is certainly not the most impressive rocksteady producitopn on the label. The B side is actually Lee’s Special, a cut on the You Don’t Care/I’m Shocking I’m Electric rhythm by Don Tony Lee that is very similar to the Cool Cool Rocksteady version released on Collins Downbeat. This was perhaps the most overpriced item sold this week, this usually sells for around half the price it got bid up to this time. Sir Collins & The Black Diamonds – Black Panther/I Want To Be Loved This is the stuff of legends in the skinhead fraternity, some bizarre chat over a derranged hammond organ backing track – what more could you ask for. This made a not insignificant Â£331 ($517) last week but in reality it could have gone higher. Soul Directions – Su, Su, Su/Better Herring Another tune that appeals to skinheads, this is actually by the Pioneers and a fine early reggae outing it is too. This was relisted after Carlos hit the auction first time round in in August, this time the bids seem legitimate and it went for Â£343.99 (Â£537). 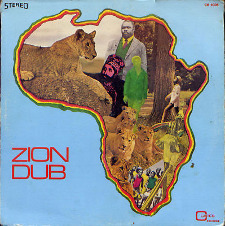 Zion Dub LP This is the second Dub LP issued by Carl Campbell of Carl’s Records fame I’ve mention in this column, having seen a copy of 357 Magnum Dub sell for Â£190 a few weeks ago. That price is put firmly in the shade by the Â£390 ($610) this issue of Zion Dub made last week. Expensive as it is this is a typical price for this LP at the moment, indeed a copy actually made just short of Â£500 not long ago.